Mold Canoe Club run polo sessions for all to join in and is also proud to have club members in a number of local polo teams. 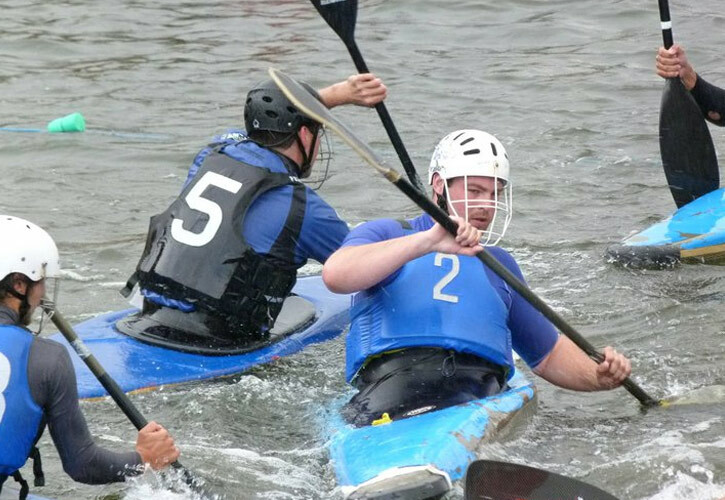 Kayak polo is described as a combination of water polo, basketball and kayaking. The tactics and playing of the game are not unlike basketball or water polo but with the added complexity of paddling kayaks. We tailor our games to the ability of the players and like to be all inclusive so if you fancy having a game come along and join in. We will be running sessions throughout the summer in Mold Swimming Pool. Check our Facebook page for the dates. Please contact us if you have any questions about our polo sessions. 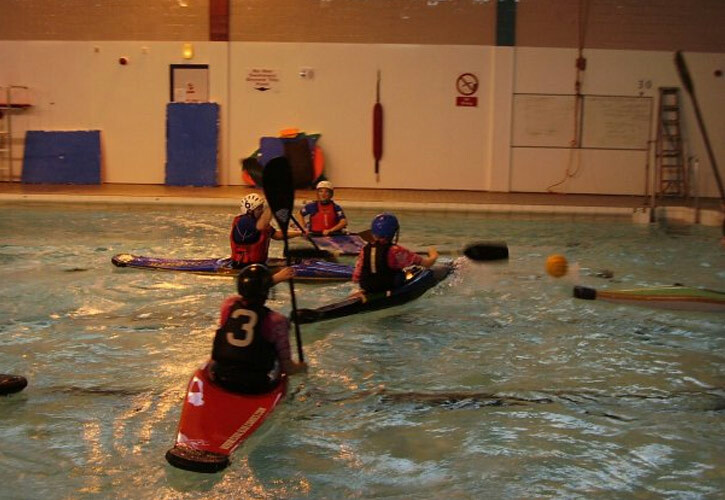 Kayak Polo is a great exciting sport that everyone can join in and have fun.